West Palm Beach Personal Injury Attorneys | Gonzalez & Cartwright, P.A. When someone acts negligently and it leads to you suffering an injury, you could see your life and how you live it change in an instant. You might not be able to return to work, which means the bills will mount, you might fall into debt, and it will be incredibly difficult to care for your family. On top of it all, if the injuries were severe enough you might need surgery to fix them and then a ton of rehabilitation work to get back into shape. It’s time for you to speak with an experienced personal injury attorney in West Palm Beach, FL from the team of Gonzalez & Cartwright, P.A. if you have suffered an injury because someone else acted negligently. Our team has represented injured clients in the West Palm Beach and surrounding communities for more than 10 years. On the surface, it looks like these injury categories only cover the most tragic and severe injuries someone can suffer in an incident. Even though it might seem this way, do not think that your case will not move forward. Almost every personal injury lawsuit that involves a broken bone will be heard by the court system. There is no requirement necessary for bone healing or not. So, if you were injured in a construction accident caused by someone else’s actions, it can move forward if you will have trouble working for the foreseeable future. The most important thing you can do for yourself and your family when injured by another person’s negligent actions is to speak with an experienced personal injury attorney in Florida. An attorney will know the thresholds required for a personal injury case to move forward. The team at Gonzalez & Cartwright, P.A. 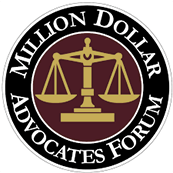 has been awarded the AV rating from Martindale-Hubbard Lawyer Rating Service and also belongs to the Million Dollar Advocates Forum. This is a group of nationwide lawyers that have secured million-dollar awards for their clients. The dedication and passion our lawyers show for our clients have been recognized throughout all of Broward County. Why Choose Gonzalez & Cartwright, P.A.? The team at Gonzalez & Cartwright, P.A. 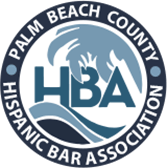 prides itself on providing trusted, knowledgeable, and compassionate legal representation for our clients in the West Palm Beach, FL area and the surrounding communities. We know what it’s like to work, study, live and play in Florida. This helps us find common ground with all of our clients. It can be difficult to find someone you can trust with your legal problems, especially when trying to speak Spanish. We have been connecting with the Latino community for more than a decade, making it easier to discuss any immigration issue you might have. Protect your rights and freedom immediately after being injured by contacting a member of our team. Our team of West Palm Beach, FL personal injury attorneys know that recovering compensation for your injuries is the only way to help you move forward. There’s no reason you should have to struggle to pay the utility bills, put food on the table for your family, or be able to pay the rent or the mortgage. We like to make it as easy as possible on our clients when seeking legal representation, which is why we will come to you for meetings. Schedule a consultation with an attorney at your earliest convenience by calling the office. You can also complete the contact form found on our website and someone will reach out to you as soon as possible.